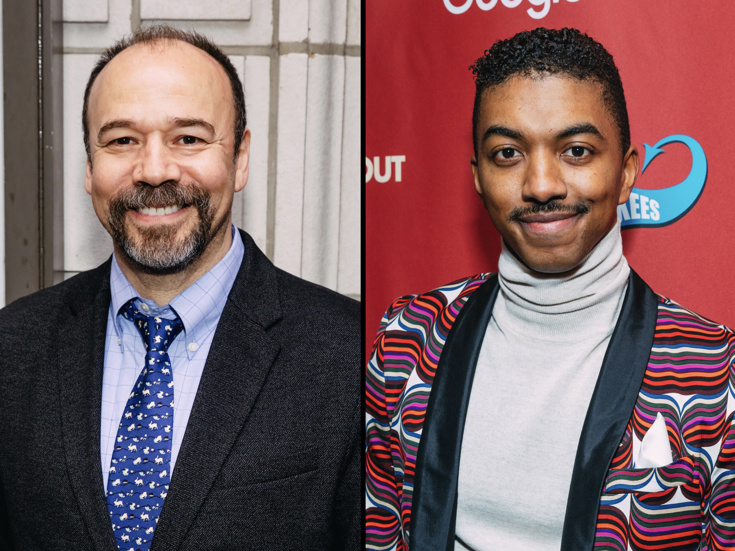 Talented Broadway alums Danny Burstein and Christian Dante step into the acclaimed Broadway revival of Lerner & Loewe's My Fair Lady on January 8. They take over the roles of Alfred P. Doolittle and Freddy Eynsford-Hill, respectively, from Norbert Leo Butz and Jordan Donica, who originated the roles in the Lincoln Center Theater production directed by Bartlett Sher. Burstein recently appeared in the Boston production of Moulin Rouge! The Musical as Harold Zidler, a role he will reprise on Broadway this summer. He picked up a 2016 Tony nomination for starring as Tevye in the Bartlett Sher-helmed Fiddler on the Roof. He has also received Tony nods for Cabaret, The Drowsy Chaperone, Follies and Sher's productions of Golden Boy and South Pacific. Most recently seen on Broadway in Hello, Dolly!, White has also appeared onstage in The Book of Mormon, The Scottsboro Boys and Shuffle Along, or the Making of the Musical Sensation of 1921 and All That Followed. He has been seen in the City Center Encores! productions of Cotton Club Parade, Lost in the Stars and The Wiz and in the Muny's Jersey Boys and Hairspray. Burstein and White join a principal cast led by Laura Benanti as Eliza Doolittle, Harry Hadden-Paton as Professor Henry Higgins, Rosemary Harris as Mrs. Higgins, Allan Corduner as Colonel Pickering, Linda Mugleston as Mrs. Pearce and Clarke Thorell as Professor Zoltan Karpathy.